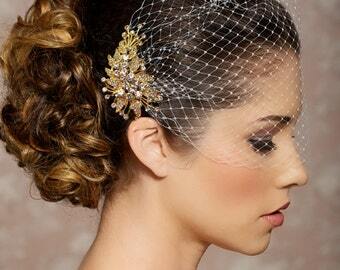 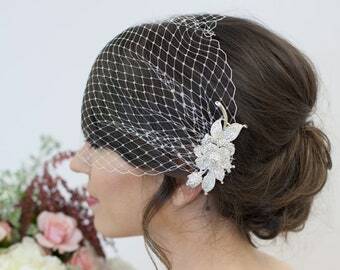 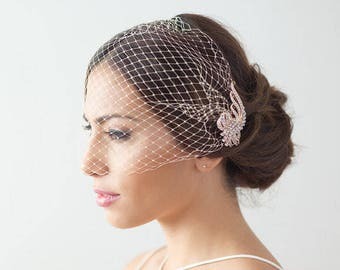 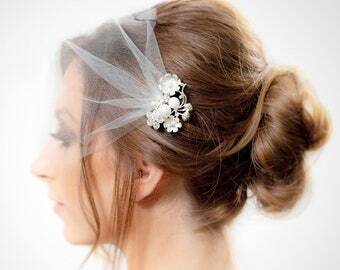 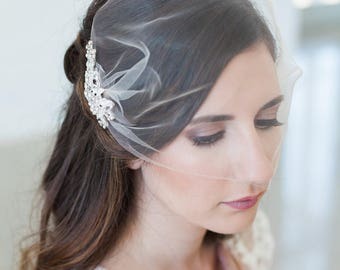 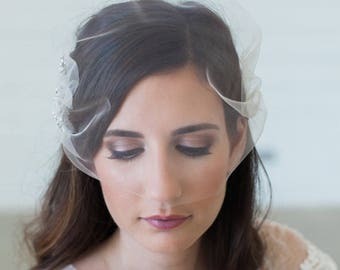 Pretty Bandeau Birdcage Veil with Crystal fascinator comb - featured in Style Me Pretty! 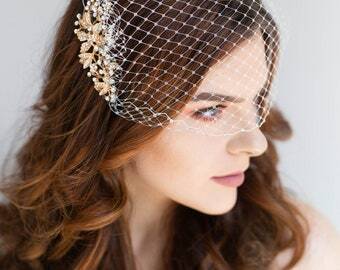 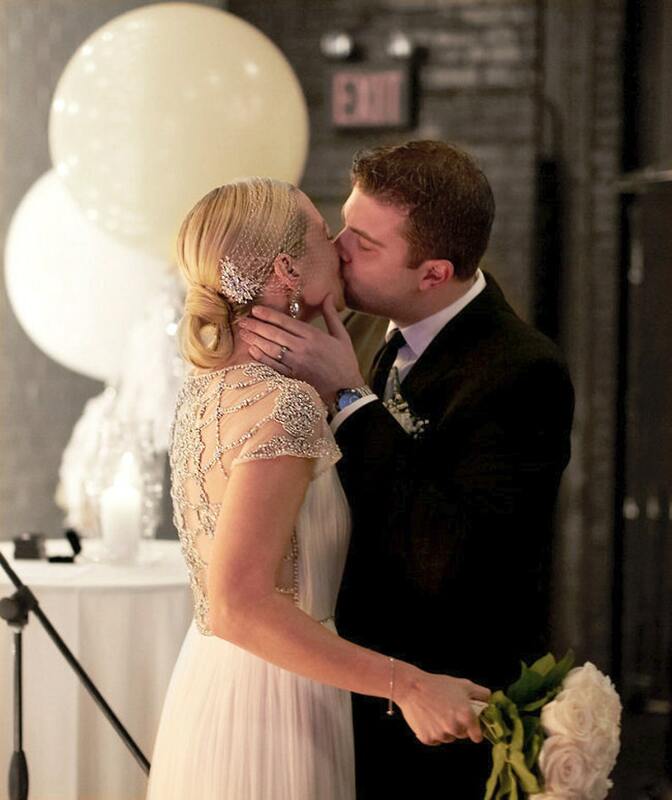 This gorgeous, sparkly jeweled bandeau birdcage veil is handmade with Russian netting (shown in ivory) and is designed to drop mid face and can be adjusted to wear back further on the crown to just cover your eyes or slightly lower to cover more of your face. 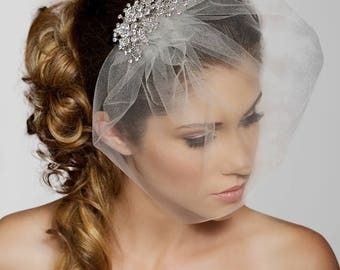 A large silver and clear rhinestone jewel is threaded through one side so that it is detachable to be worn on its own and a tiny rhinestone accent is fixed to the veil's other side.